Veronica, born and raised in Chicago, is a twenty year veteran of the catering and meeting/event planning industry. She began her career as a meeting planner in the pharmaceutical industry. She then became a meeting planner for the Academy of Orthopedic Surgeons, executing several large conventions for up to 500 delegates. Veronica always was drawn to the creative aspect of planning meetings/events, especially menu planning, presentation and décor. This drew her to the hospitality side of the business, starting over from the ground up at the Hyatt Regency Chicago, as a Catering Assistant, then Coordinator. Veronica later moved on to handle the Wedding Market at the Wyndham Hotel, and then spent some time as a freelance planner and consultant. After experiencing many sides of the event business, Veronica wanted to find a permanent "home" where she could make a lasting impact. 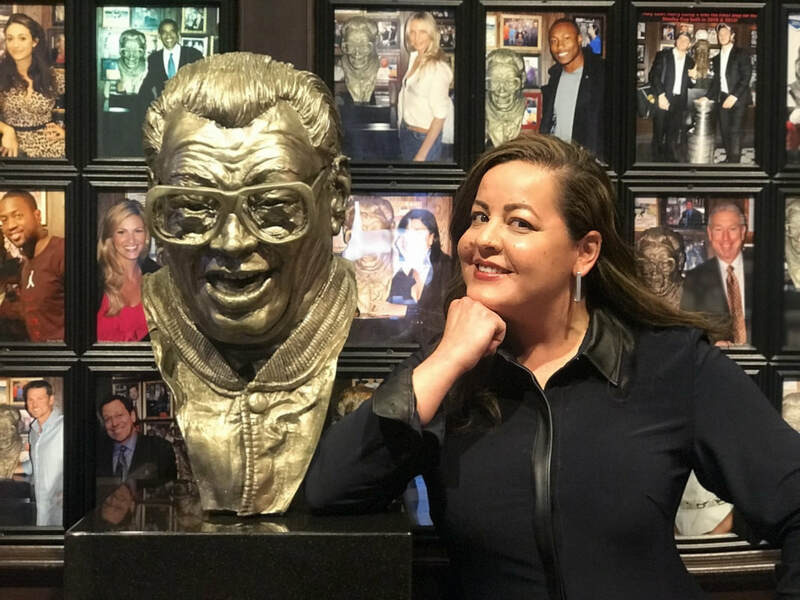 She joined Harry Caray's Restaurant Group in July of 2014, starting at our flagship River North steakhouse and then moved onto our newest venue at the Chicago Sports Museum and Harry Caray's 7th Inning Stretch. Veronica was able to bring her past experience to build systems for operations and develop a strong sales team. She still enjoys bringing new elements of surprise into food presentation and event décor with her DIY skills. On her spare time she enjoys following the Cubbies, home décor/design, thrifting for vintage finds, tennis, and long walks with her new pug-puppy Eloise. Samson was born and raised in Palatine, Illinois. He graduated with a Bachelor's Degree in Communications from Western Illinois University in 2000. Following graduation, Samson went on to learn the hospitality industry by working in various roles within restaurants, in the Chicagoland area. While with Levy Restaurants, Samson learned how to execute large events with menu planning, staffing, and ordering. He went on to become a full time Private Event Sales Manager with The Clubhouse, in Oak Brook, IL, managing private events for large clients such as McDonald's, Verizon Wireless, & Coca-Cola. After several years of excelling in his role at The Clubhouse, Samson found the opportunity for his dream job. 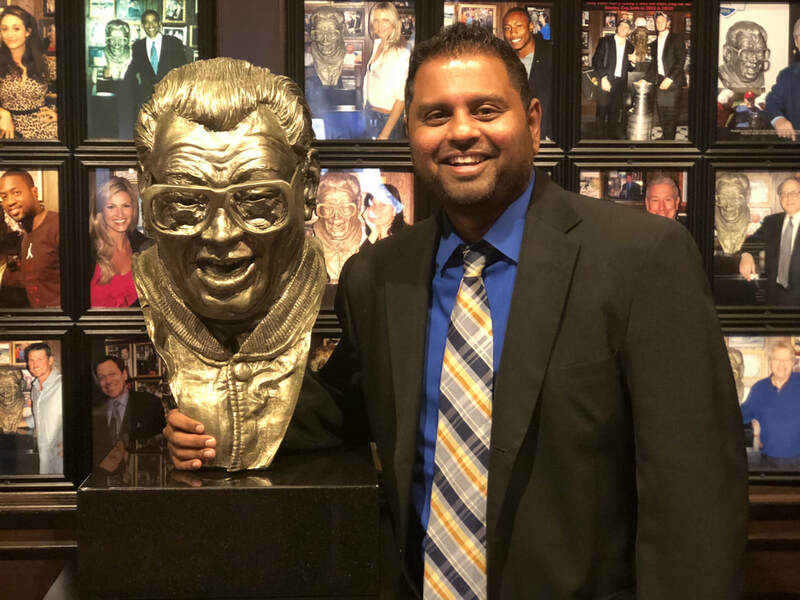 As a die-hard Chicago sports fan, the chance to work with Harry Caray's and The Chicago Sports Museum was a match made in heaven. Samson combines his vast experience in booking private events, and extensive knowledge of Chicago sports, as the perfect combination in assisting clients throughout the entire event planning process. During his spare time Samson enjoys playing sports, making people laugh, exploring the Chicago dining scene, and watching the Cubbies.